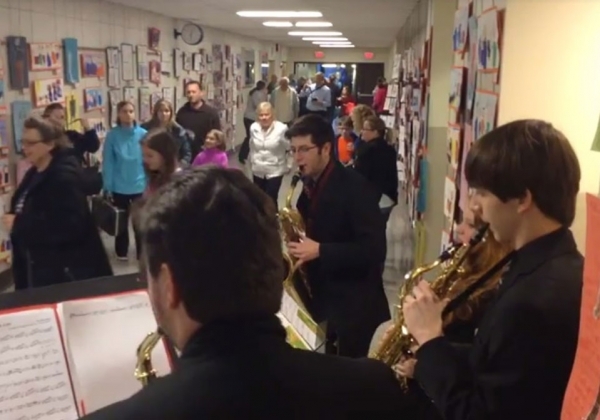 In the fall of 2013, the music and art department of our district began working with the Arts Education Collaborative in Pittsburgh, PA, to conduct a self-review of our programs. The goal of this review was to be a catalyst for goal-setting, visioning, training, and curriculum re-write. During this process in the fall of 2015, myself, along with our middle school art teacher, began discussing about doing a combined music and art show in our building. After including other arts staff, this discussion quickly became something bigger. Within just a few months, we were involving administration and other staff members from all grades (K-12), and the idea for B.A.M. 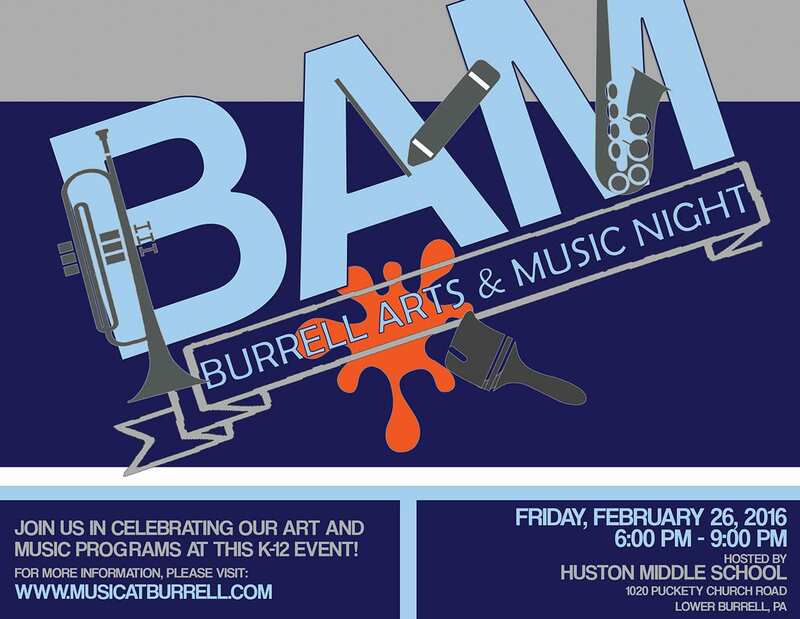 (Burrell Arts and Music) Night was born. The concept was simple – develop an event where all of the excellent things going on in our arts programs could be displayed and shared with the community. We quickly set the date for our first event, which was held in February 2016. Arts and music staff began working on plans for public displays of art, interactive art pieces, and performances of small and large musical ensembles, as well as soloists. Administration hopped on board with financial support for refreshments, shuttle bus service, and parking police. Many staff members chipped in to help prepare, as well as work at the event. The first event was held February 26, 2016, and EVERY STUDENT in our entire district was involved in some capacity, whether it be a visual art piece or as part of a musical performance. While we didn’t know what to expect audience-wise, a rough head count showed that 1,300-1,500 people attended. Word quickly spread of the excitement of the event to the community. Now planning for our 4th event, we have now grown to a 4-hour event and have added musical theater. In addition, annual attendance now runs around 2,000 people. Our city advertises for us and many elected officials, as well as all of our administration, attend the event. We’ve heard commented by many that this is now “the event” that people look forward to every year in our school district and community. 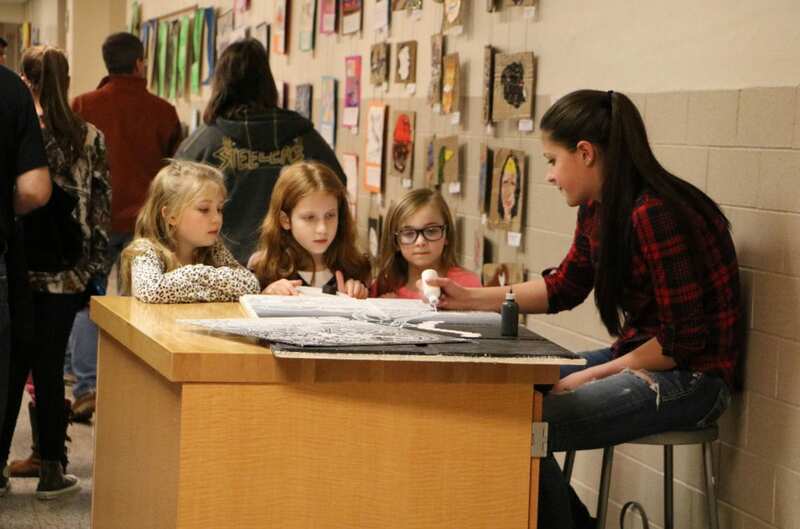 What began as a way to share the arts from our school with the community quickly blossomed into an event that has become a staple within our entire town. 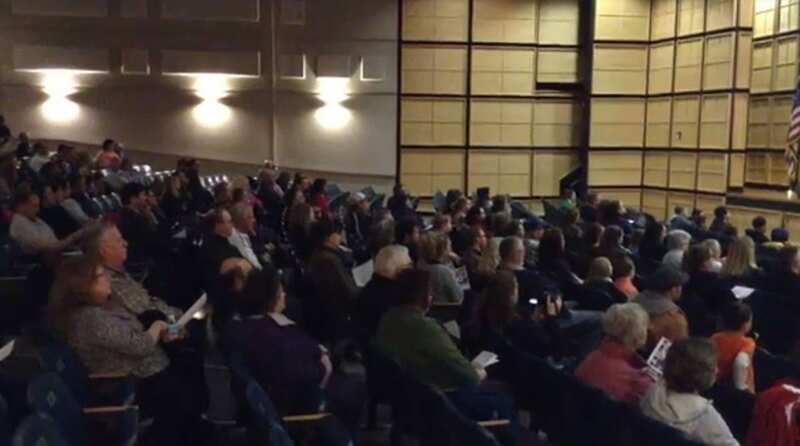 The target audience for this project is the entire Burrell community. While we obviously hope that the parents and families of the students involved will attend, our overall goal is to show our community about all of the wonderful things happening in the arts in our schools. Each school year since – initial meeting in September, planning through year, event in spring. 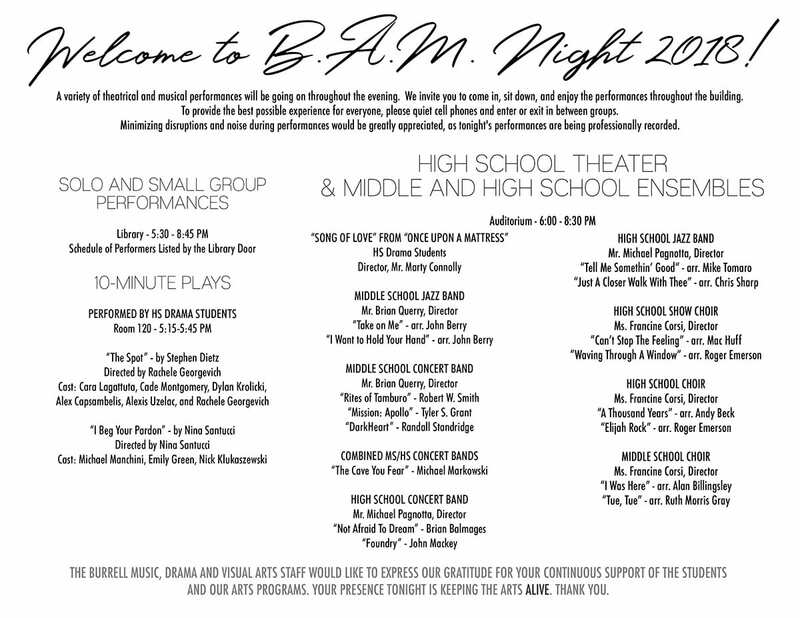 Our 4th Annual BAM Night is scheduled for February 22, 2019. Last year, an estimated 2,000 people attended. Our community used to have a “Key Communicators Luncheon”, where leaders from organizations across the district came together and heard presentations about events/activities happening in the school. This “fizzled” several years ago. When hearing about our idea for this event, our superintendent instantly identified this as a way to be the “Key Communicator” about the great things happening in our schools, specifically in the arts. Since it’s inception, we get calls and emails from people in the community who can’t wait to attend again. 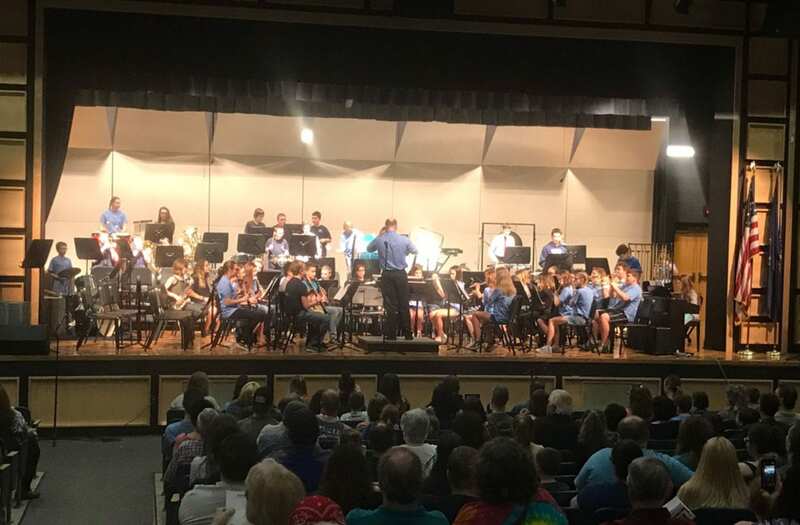 Attendance and band events, choral events, and theatrical performances is up significantly, with some concerts playing to a full house. There is a buzz in our community about the great things happening in the arts in our schools! All other items are part of regularly-budgeted district expenditures, thanks to our district being a big supporter of the arts programs financially. Staff time is all donated. The first year, the event was 3 hours long and involved 2 hours of musical performances. 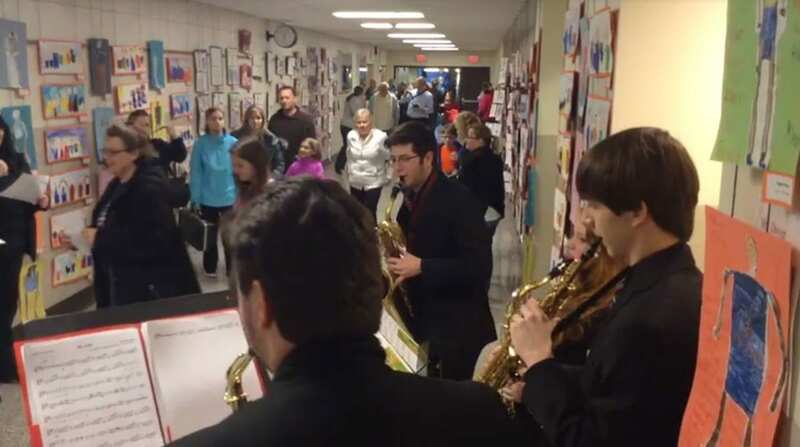 We found that this congested the hallways of the school, and also made it harder to double-schedule students that wanted to do both musical ensembles and solo/small ensemble work. 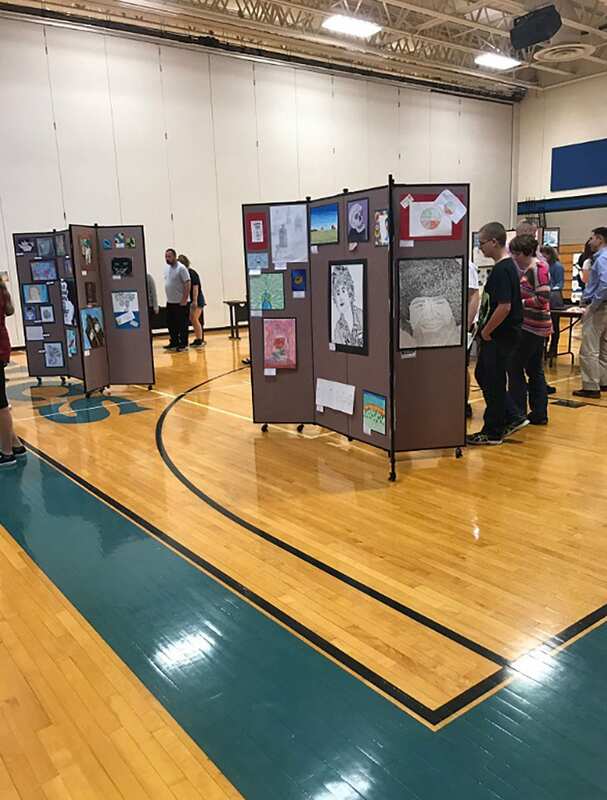 For the 2nd year, we extended the event to 4 hours, but having only the art gallery walk and solo/small ensemble performances during the first hour. This helped the traffic flow. 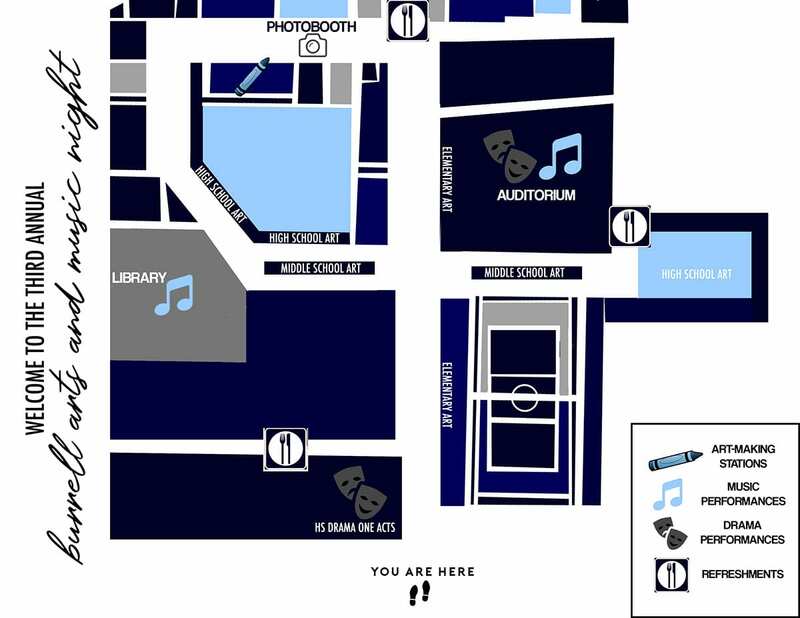 For the 3rd year, we added theater performances (spread throughout the night), extended into the school gym to help spread out materials, and added a shuttle bus. We also moved the date later to attempt to open it up to a bigger crowd, but found it worked easier (and people preferred) the earlier date. So, our 4th annual event will mirror last year’s event, but with an earlier date. We measure success in 4 ways. First, all participating staff and administrators are asked to provide instant feedback on the event within a week of the event, and then meet approximately a month afterwards to “debrief”. Second, we have a set of standard questions we ask to students who are involved (such as – what was your favorite part, what all did you visit during the event, what would you like to see added). That is done in music ensembles and with selected visual art and theater students. Third, we have a survey for parents and community members who attend to complete. It is a paper survey and available when they come in, exit, and at various points throughout the evening. The final way we measure success is by the attendance at the event. What we expected to be a decent crowd has turned into an event that draws 2,000 annually to our school. Having all of the arts teachers work together can sometimes prove difficult when they are in different buildings and doing different things. However, bringing the arts together draws the most publicity, public support, and people to attend the event. If doing multiple things the same night, scheduling is of utmost importance. Make sure whoever does the music scheduling can “see the big picture” and make sure there’s time for students to do everything and not overlap too much.